SOLD!!! 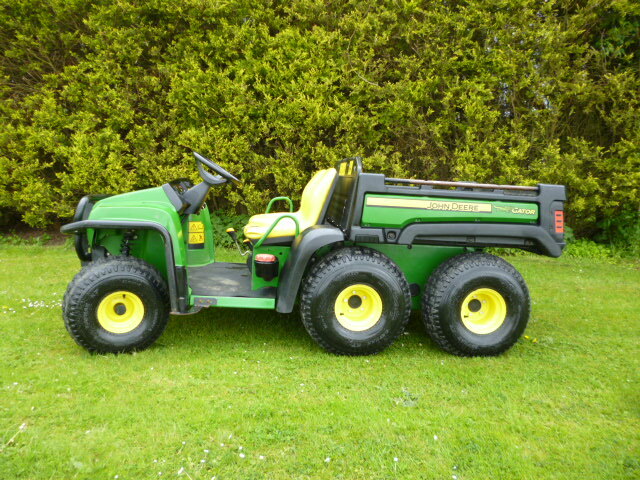 JOHN DEERE GATOR 6X4 YEAR 2013 SOLD! Brief Description: YEAR 2013. HOURS 1300. EXTRA SPRINGS. 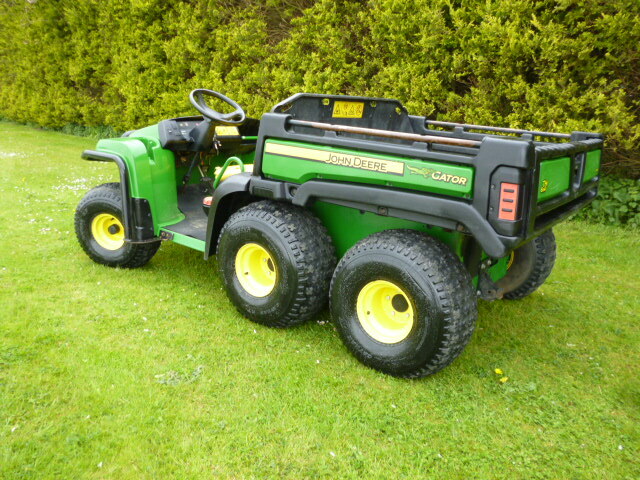 YANMAR DIESEL. NEW STYLE BUCK. FRONT FENDER GUARD & BED LINER. 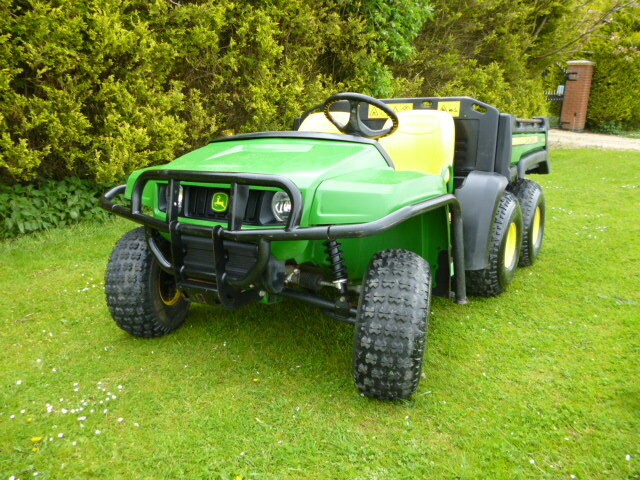 More Information: With six wheels, a low centre of gravity and power to spare, the Gator TH 6x4 Utility Vehicle makes light work of heavy loads. Our strongest workhorse transports an impressive 726 kg (including passengers) with ease and the low load height is really easy on your back. Durable deluxe cargo box is spacious and allows for easy loading and unloading. Powered by 854-cc, three-cylinder, liquid-cooled, four-cycle diesel engine. 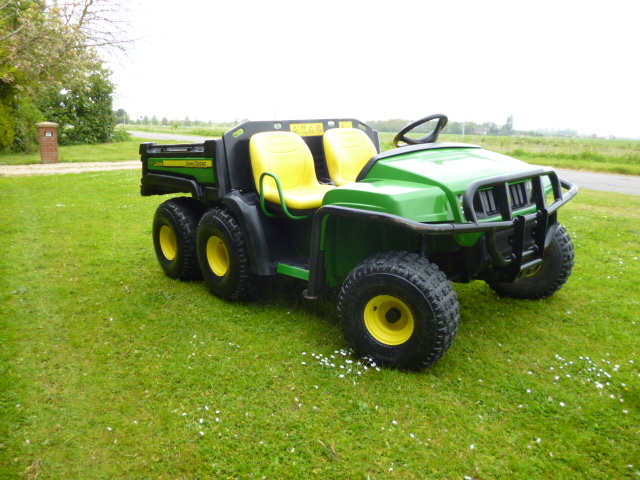 Features operating conveniences such as high-back seats, cup holders, 12-V outlet, glove box, and fuel gauge. Precision-engineered drive system optimizes hauling, towing, and hill-climbing capabilities.